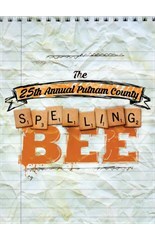 F-U-N is all the spelling you need to know to go see The 25th Annual Putnam County Spelling Bee. This musical comedy with heart and smarts is running now through November 8 at Arkansas Repertory Theatre. A 2005 Tony winner for Best Book of a Musical, Spelling Bee (as it shall hereafter be abbreviated) explores the twists and turns of both the eponymous academic competition and the struggle known as adolescence. While William Finn’s score may not be as strong as some of his other shows, it is a mixture of peppy and heart-felt songs that illuminate the chaos and character of each competitor. There are six main competitors in the Bee. Each of the adult actors playing these juvenile spellers does a masterful job of balancing the demands of the roles. They must portray youngsters, without it becoming a parody. Ethan Paulini creates yet another endearingly offbeat character at the Rep as Leaf Coneybear. Tessa Faye’s Logainne Schwartzandgrubenierre shifts seamlessly between exuberance and frustration. Laura Dadap aptly showcases her many talents as overachiever Marcy Park. As Chip Tolentino, Tommy Martinez is so clean-cut and charming that his character’s unfortunate physical condition is endearing and not creepy. Conly Basham brings warmth, pathos, and heart to the role of Olive Ostrovsky, which keeps the character from straying into the realm of the pitiful or maudlin. 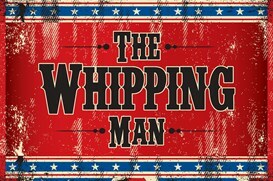 As William Barfee (pronounced Bar-fay, except by everyone else on stage), Patrick Halley embraces the profound oddities and quirks in the character without making him grotesque. Playing the adults are the warm Andi Watson as a former spelling bee champion intent on reliving her glory days, the officiously hilarious Scott McLean Harrison as a frustrated and frustrating Assistant Principal, and Correy West as a community service grief counselor. Watson and Harrison are kept on their toes throughout the show as they must interact with the guest spellers from the audience. This is no cookie-cutter production of Spelling Bee. Director Nicole Capri has crafted a production that plays to the unique strengths of each of the actors. She keeps the show moving at a good pace, while allowing it to slow down enough for the audience and actors to enjoy the moments of bliss and melancholy. Capri obviously created a rehearsal environment encouraging the actors to take risks and to have fun. 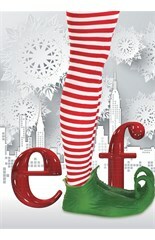 Musical Director Mark Binns again excels in serving the score, singers and the audience. Mike Nichols’ set recreates a school gymnasium down to the ropes dangling from a ceiling. Shelly Hall’s costumes capture the personalities of each character in a fresh way. Dan Kimble’s lighting and Allan Branson’s sound design are vital to reflecting the different moods and moments as the story sometimes shifts to different planes of consciousness. Lynda J. Kwallek’s props ensure the show has a lived-in look. While the show may have a message about the value of every person, it is not a “MESSAGE” show. It is intended to be fun. The Arkansas Rep production of The 25th Annual Putnam County Spelling Bee gets the gold cup for providing an enjoyable, entertaining, and enlightening outing at the theatre. Project Élan is a brand-new, original, culture-current musical that seeks to shed light on the individual and universal needs of the millennial generation. Digital and uniquely undefinable, this generation seeks to find answers in an unpredictable world. And although they may appear to be an age overrun by technology and isolation, their dreams are timeless. The millennial generation still longs for the most basic of human needs – safety, hope and love. Conceived and directed by The Rep’s Resident Director and Director of Education, Nicole Capri, Project Élan is written by Capri and seven SMTI alumni and staff including. The production, which opens on the 10-year anniversary of The Rep’s Summer Musical Theatre Intensive (SMTI) program, features approximately 50 of the best past and present alumni from the last decade of the program. 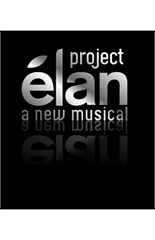 Project Élan features a diverse musical score with original songs from almost every genre of music – contemporary-alternative, acoustic-folk, urban-rock, indie-pop, jazz-fusion, Nashville-sound, progressive-Broadway and sunshine-pop. Public previews begin tomorrow with the official opening night on Friday, May 8. 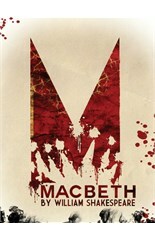 The production runs through May 16.